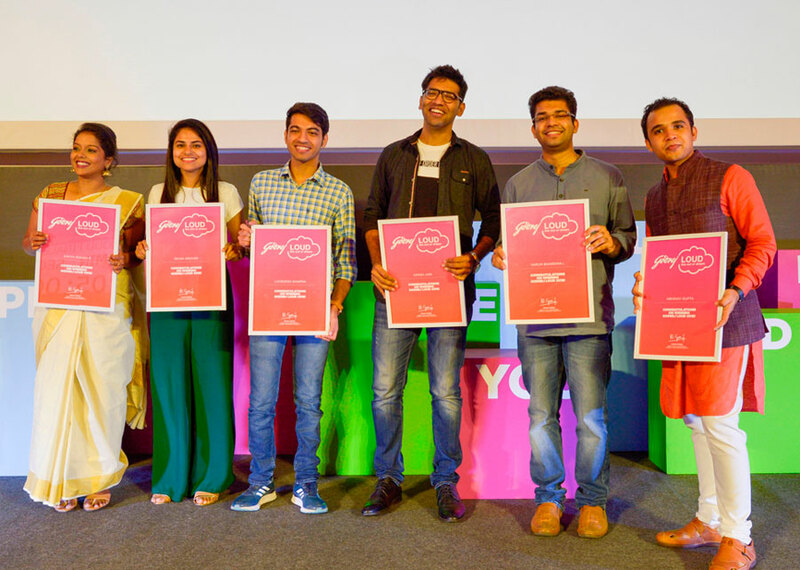 6 students won the 7th edition of Godrej LOUD at the Godrej headquarters in Vikhroli. 13 students from India’s top business schools presented their personal dreams as part of the Godrej LOUD (Live Out Ur Dream) 2018 finale. Godrej LOUD is a campus recruitment programme to find young and passionate first year business school students with diverse interests outside of work. The finalists presented their dreams to a jury of senior Godrej leaders, including Nisaba Godrej, Executive Chairperson, Godrej Consumer Products Limited, Vivek Gambhir, Managing Director and CEO, Godrej Consumer Products Limited, Sumit Mitra, Head – Group Human Resources and Corporate Services, Godrej Industries and Associate Companies and Parmesh Shahani, Head – Godrej India Culture Lab. This year, Godrej LOUD attracted over 1,300 applications from across India’s top business schools. Team Godrej LOUD visited 13 campuses (SPJIMR, Mumbai; NITIE, Mumbai; SCMHRD, Pune; SIBM, Pune; MDI, Gurgaon; IRMA, Anand; IIM, Ahmedabad; DSE, Delhi; FMS, Delhi; IIFT, Delhi; IIM, Calcutta; IIM, Trichy; and XIM, Bhubaneswar) to engage with first year students. Established in 1897, the Godrej Group has its roots in India’s Independence and Swadeshi movement. Our founder, Ardeshir Godrej, lawyer-turned-serial entrepreneur failed with a few ventures, before he struck gold with a locks business. Today, we enjoy the patronage of 1.1 billion consumers globally across consumer goods, real estate, appliances, agriculture and many other businesses. In fact, our geographical footprint extends beyond Earth, with our engines now powering many of India’s space missions. With a revenue of over USD 4.1 billion we are growing fast, and have exciting, ambitious aspirations. Our Vision for 2020 is to be 10 times the size we were in 2010. But for us, it is most important that besides our strong financial performance and innovative, much-loved products, we remain a good company. Approximately 23 per cent of the promoter holding in the Godrej Group is held in trusts that invest in the environment, health and education. We are also bringing together our passion and purpose to make a difference through our Good & Green strategy of ‘shared value’ to create a more inclusive and greener India. Godrej Consumer Products is an emerging markets FMCG leader, delighting consumers with innovative, superior quality products at affordable prices. Godrej Properties brings innovation and excellence to the real estate industry in India, delivering superior value through extraordinary and imaginative spaces created out of deep customer focus and insight. Godrej Agrovet is a diversified, ‘feed-to-food’ agri business conglomerate, dedicated to addressing India’s key agricultural crises.